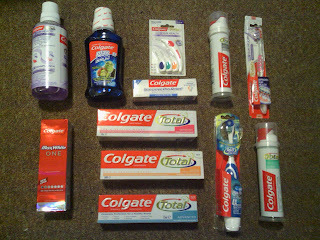 Colgate have kindly given me a goody bag full of their products to give to one very lucky winner. Why not take a look at their website and play some great games http://www.colgate.co.uk. You can become a fan on Facebook at http://www.facebook.com/ColgateUK. Entry is via the Rafflecopter form below. The competition will be running from 1am on 11th October 2012 until 4am on 31st October 2012. It is open to UK residents only, aged 18 years and over. Winners will be drawn at random on 1st November 2012 from all valid entries. I use Colgate whitening toothpastes. I like them because I've used Colgate since I was very young and I have good teeth. I think they work. I always use Colgate Total toothpaste. Whenever i try another brand, the texture feels all wrong and my teeth don't feel clean. Yes I always use colgate, I use Maxfresh, I find it freshens better that others. I love Colgate Total toothpaste - it always leaves my mouth feeling fresh and I love the taste...and of course all the protection it gives me! I use Colgate cavity protection - not too "hot" a flavour and leaves my teeth feeling clean. I also use Colgate Total..love the taste. Yes I use Colgate toothpaste whenever I can because I like to buy the best and Colgate is the best. I always use colgate as it is very minty and refreshing for hours. I tend to use whatever is on special offer! Colgate is good though. I currently use Colgate Total in one bathroom & Sensodyne in the other as that's my husband's favourite. My teenage son also uses Colgate Total. We like the taste and find it very refreshing. I am using colgate total at the moment which tastes good. Yes I always use colgate, I find it freshens better that others. 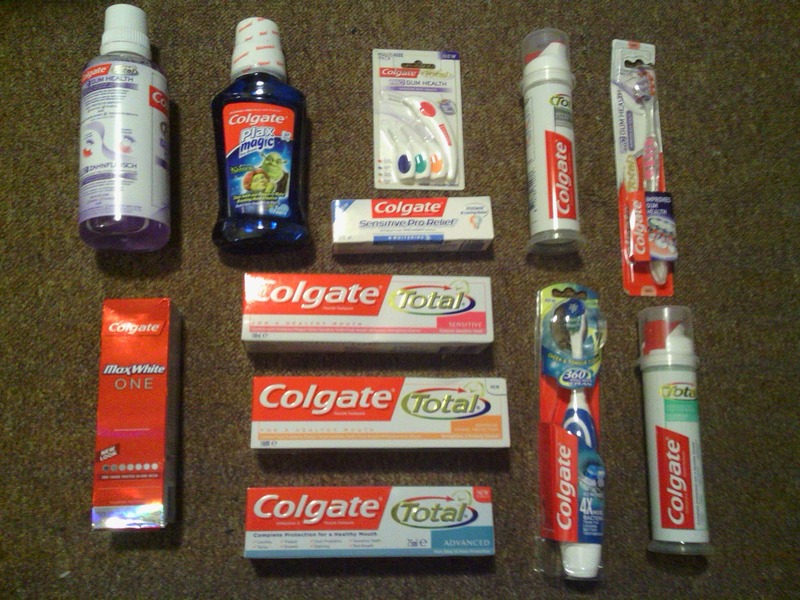 I'vr very recently started using Colgate Total toothpaste which I love, but I've yet to try their other products. I use colgate toothpaste it's brill! I use colegate toothpaste and brush. I have used Colgate for a number of years - you get what you pay for. I don't use Colgate, I use Sensodyne and my hubby uses Signal but I'm finding it harder to find Signal in the shops so I think I'll try converting him to Colgate! I've always used Colgate, normally Colgate Total. When I once tried another brand my teeth got really sensitive, so have never switched again since. I do use Colgate - I use Colgate sensitive and my husband uses Colgate Gum protection/health(?). I use their whitening toothpaste because it actually whitens! I use colgate total toothpaste and have been for way too long to like anything else! I am currently using Oral B. I used to use Colgate though. Their toothpastes don't feel as abrasive and some. My dentist recommends good old Colgate paste, no extra fancy things. My children use it too. Maxfresh is my fav. Its minty, without being too much! I've used Colgate toothpaste and often buy the brushes too. I love the fresh minty taste! We use the kids Colgate tootpaste and toothbrushes, bristles are soft and have a nice design. I'm using Colgate max one whitening and I think it works. I use Colgate if it is on special offer. The taste is nice and minty. So refreshing. Currently trying out the new Colgate whitening paste. My Oh always uses Colgate, but I do like to try different ones. I use Colgate Total,along with my husband and my 2 older children who are 9 and 12. I use Colgate Oxygen, lovely taste and not too harsh. I use colgate sensitive pro relief - a little expensive but really worth it as it does actually work! Last week I bought my teen a colgate toothbrush which she is really impressed with! Since being a child i have always used Colgate toothpaste, today Colgate Total is a firm favourite, a company that delivers good products. I use Colgate toothpaste and sometimes I buy the mouthwash too, always seem to choose Colgate over all the other brands. I have a Colgate electric toothbrush which is AMAZING and I Max White toothpaste which has actually surprised me in being quite good. Expensive though. I don't use colgate at the moment. I have in the past and would be happy to again. I currently use colgate toothpaste and toothbrushes. I love colgate as theyre such a great family brand and at a reasonable price too! I'm currently using the Colgate whitening toothpaste, but any Colgate toothpaste is going to be good. I don't use Colgate at the moment but their Max White toothpaste is on my list to try. 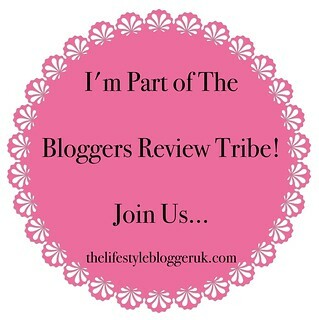 I use the whitening toothpaste - I love the taste! I love the new Colgate whitening, great taste and actually whitens! I use Colgate whitening toothpaste. I've always used Colgate toothpastes - whichever is on offer that week. My Mum always bought it when Iwas a child and I think I've just always carried on using it as I've never had any problems with my teeth. I've just had a sample of the new whitening Colgate come in the post so I'll be trying that next week. I am currently using Colgate, i tend to use whatever toothpaste is on offer in the supermarket. It is a name I know from my childhood and a brand I trust. I do use colgate, mainly because of the taste. I'm pretty fussy about toothpaste and colgate is one of the few that doesn't make me gag. I always use Colgate....I feel like it is a trusted brand and that I can rely on it keeping my teeth in tip top shape. I usually use Colgate Total. the new Colgate max is fantastic! I use colgate sensistive it great! use colgate toothpaste i love the tatse. I've always used Colgate Total & my son has the Colgate toothpaste for baby teeth. I use Colgate total and sometimes there brushes as well though this can depend on what offers are on. Colgate a well known brand which consumers are familiar with. I only every use Colgate Smiles toothpaste for my little one as it's an established and realiable brand which I can trust to look after her pearly whites - I always want what's best for her! I use colgate sensitive pro relief as I seem to suffer with sensitive teeth, especially after having the kids because it actually works! I use colgate toothpaste love the easy to use pumps. Keeps my teeth looking white and clean. I use colgate whitening toothpaste as I love it. I use Colgate toothpaste because it gets my teeth whiter than msot of the other brands I've tried! I use Colgate Advanced Whitening Toothpaste. I love it because it leaves my mouth feeling fresh, clean and I enjoy the taste. Oops I had a typo on then entry but clicked send before I noticed :( my twitter name is GW_78 not GW_89!